7 Things That Make Grace Kaufman Smile Man With A Plan star Grace Kaufman on what gets her grinning. 1. My Loved Ones. Spending quality time with my friends and my family is one of the most important things to me. I love them so much, and I am so grateful to have such charismatic and supportive people in my life! 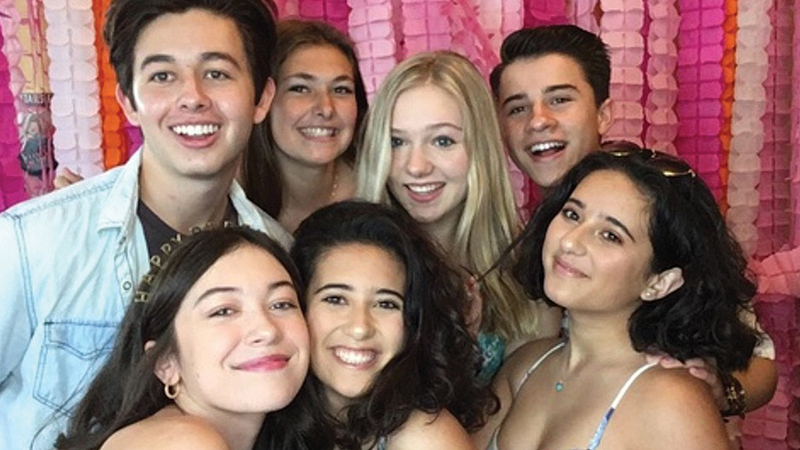 Man With A Plan cast member Grace Kaufman and some of her closest friends. 2. St. Louis. Almost all of my family on my dad's side live in St. Louis. Ever since I was little, I've looked forward to going in the summer and making new memories. 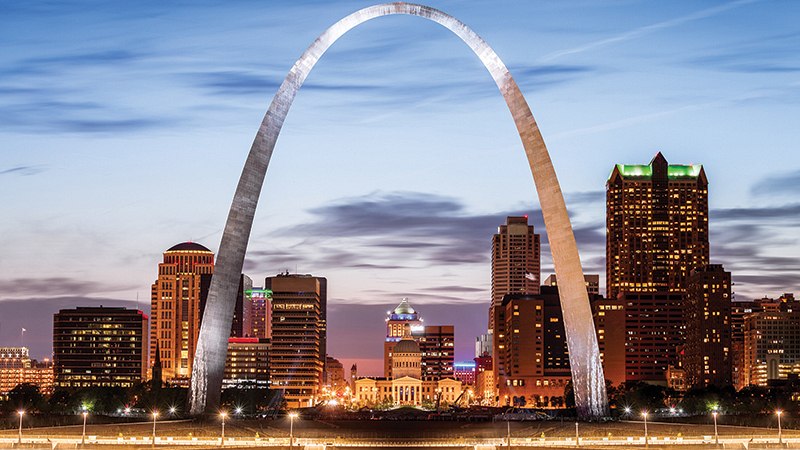 The St. Louis Zoo, the City Museum, Ted Drewes Frozen Custard, and Forest Park are some of my favorite places there. 3. Taking Photographs. I'm fascinated by the art of photography and the stories that can be told in a single picture. I have a Canon Rebel digital camera, and I love capturing beautiful moments with it. Photography allows me to creatively convey the way I see the world. 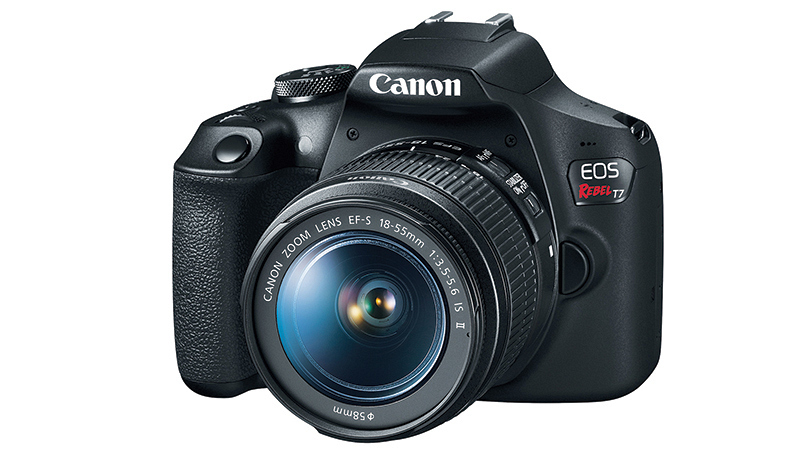 The Canon EOS Rebel T7 camera boasts easy-to-use operation for high-quality images. 4. Sunglasses. They are my favorite accessory. I own so many different pairs that accentuate the different outfits I wear. 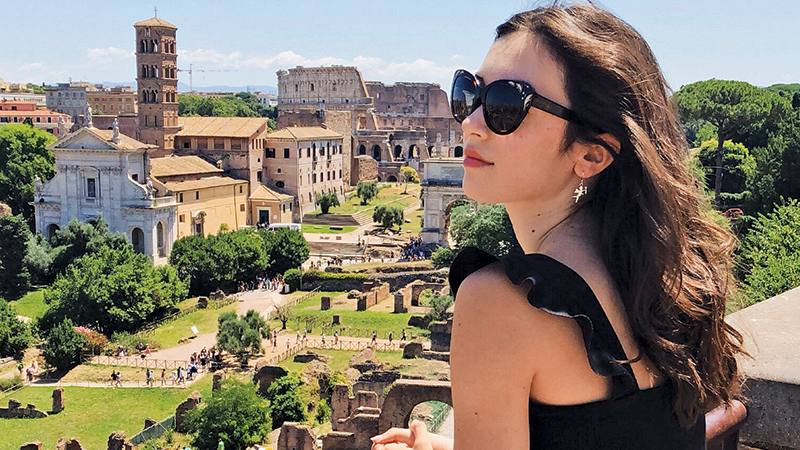 My favorite pair is from Gucci—I splurged on them on my recent trip to Italy! 5. My Pets. Two dogs (Jake and Penny) and our cat, Olive. Even if I'm having a not-so-great day, I can always depend on getting a snuggly kiss from them to make me smile again. 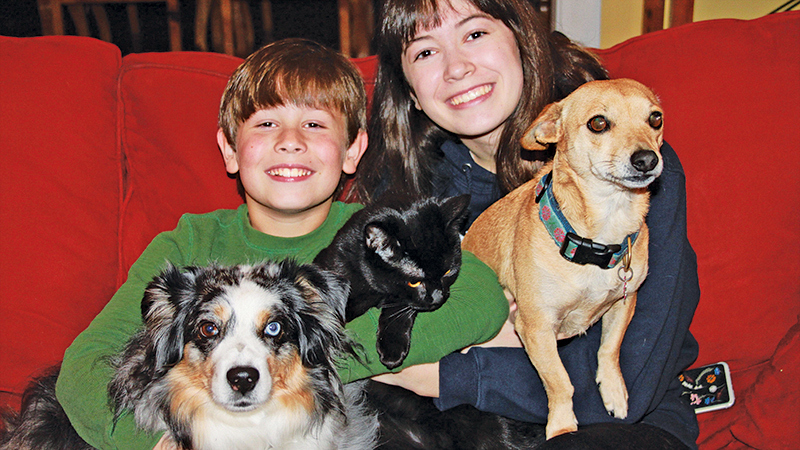 Grace Kaufman with her brother Henry and their beloved pets. 6. Musicals. My current favorite is Spring Awakening, and I'd give anything to do the film if they make it soon. 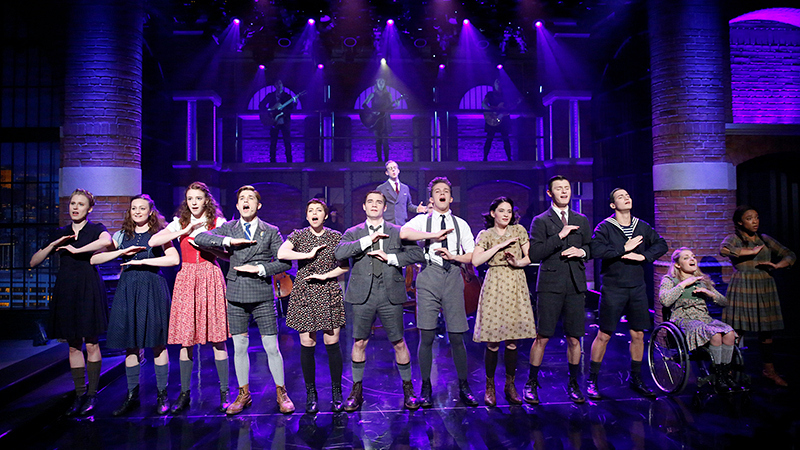 The cast of the Broadway revival of Spring Awakening. 7. The Beach. I have always loved the ocean! 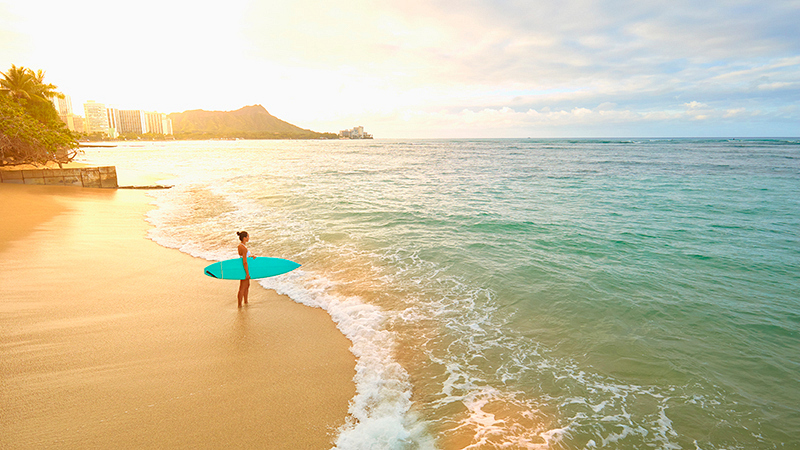 My favorite beach in the world is Waikiki Beach in Oahu—it's the beach where I first learned how to surf! A surfer along the shore of Waikiki Beach. Photo Credits: Samantha Annis (Kaufman); Ted Drewes (Frozen Custard); Courtesy of Playbill; Courtesy Grace Kaufman (4); Joe Daniel Price/Getty Images (St. Louis); Courtesy of Canon Inc. (Camera); NBC/Getty Images (Spring Awakening); Colin Anderson Productions Pty Ltd/Getty Images (Waikiki Beach). Originally published in Watch! Magazine, November-December 2018. Season 3 of Man With A Plan returns Monday, Feb. 4 at 8:30/7:30c on CBS and CBS All Access.